Some products are in .abr format (Adobe Brush) and need to be imported into CS (Photoshop). This article shows how to do this. 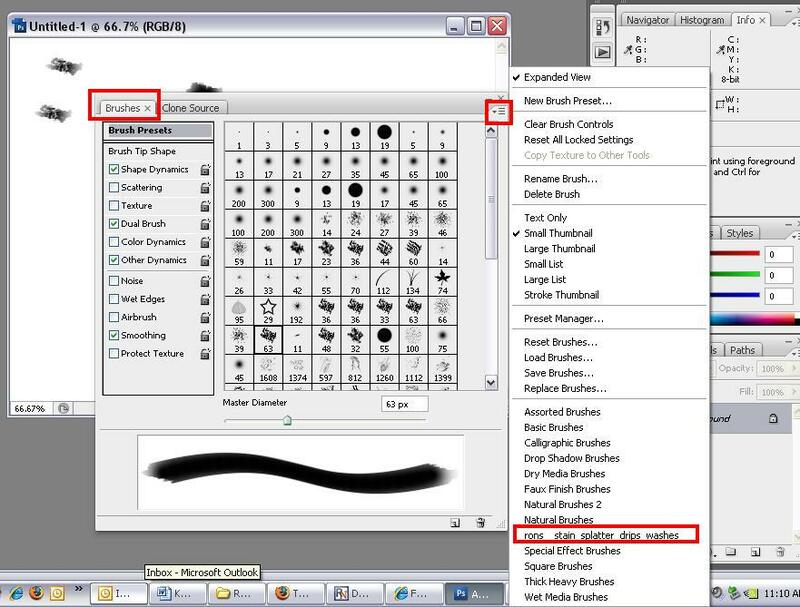 Once you have the product installed, you will need to add the brushes into the brush palette in Photoshop. In the upper right corner of the palette, click the button to see more options in a new menu. On the bottom of the menu, you will see the entry for Rons presets. Click on the entry. You will have the option to replace or append. Choose append to save your existing brush presets and add the new brush presets at the bottom. Now click on a brush preset to use in your Photoshop creation.